particular focus on what currently exists in the first Android N preview update. Please note that some features have been officially confirmed by Google, while others, “confirmed” by the developer preview, could still disappear before Android 7.0. 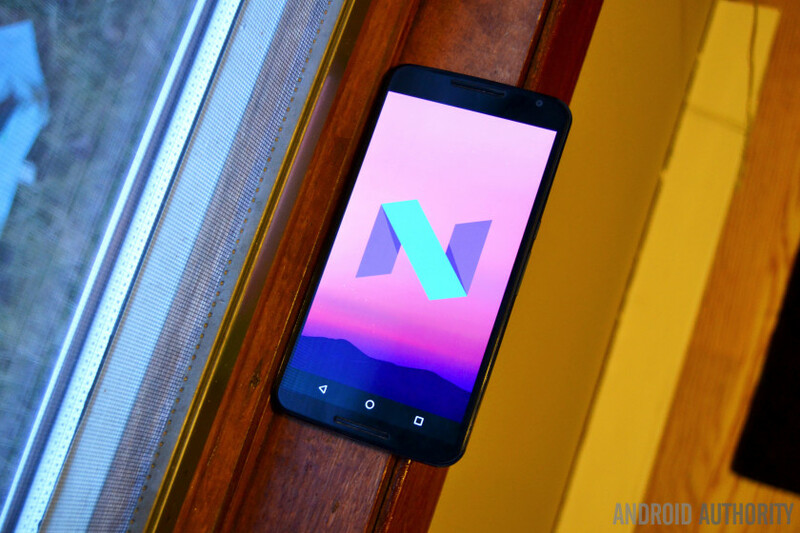 Rather than wait until Google I/O 2016 – Google’s annual developer conference, which begins on May 18 – Google decided to surprise us all by releasing the first Android N developer preview on March 9, two full months earlier than expected. The Android N preview went live for the Nexus 6P, Nexus 5X, Nexus 6, Nexus 9 (Wi-Fi and LTE), Nexus Player and Pixel C on the Android Developers site. A more polished version of the Android N developer preview will still be shown off during Sundar Pichai’s keynote lecture on day one of the conference but developers and enthusiasts will have a couple months’ head start on getting to know N.
The final Android 7 release will be limited to Nexus devices at first and make its way to other manufacturer devices and carrier networks over the following six months or so. You can download the Android N preview below and flash it on a compatible device right now but be sure to consult the list of known issues first. The first official Android N feature to be confirmed was multi-window mode, with the confirmation coming, obscurely enough, via a Reddit AMA with the Pixel C team a few months back. 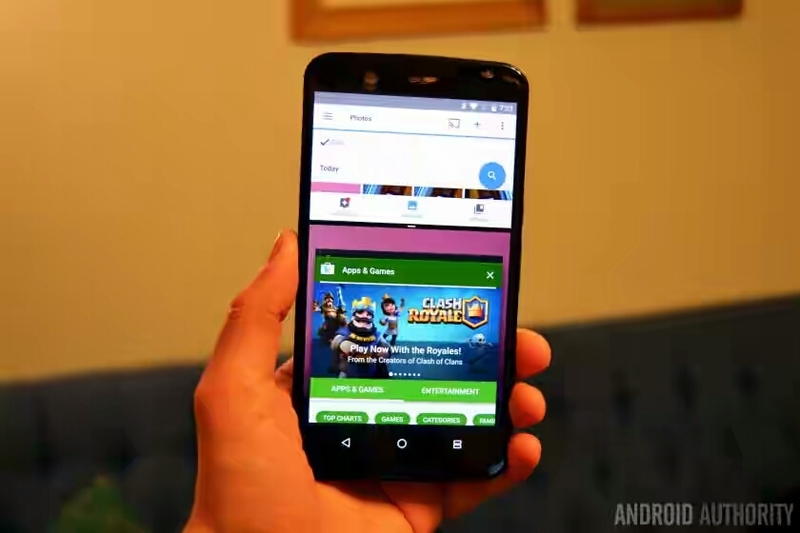 During the discussion, Andrew Bowers confirmed that “split screen is in the works” and with the release of Android N developer preview 1, we can now see exactly how Android 7.0 split screen mode will look. Compatible apps (developers will need to add support for split screen mode individually) can be opened up side-by-side in Android N and resized. Developers will be able to set a minimum size for their app windows, but you’ll have a very similar multitasking experience to what you already find on many OEM devices. There’s also a new picture-in-picture mode that works just like minimized video in YouTube. During the same Reddit AMA, Pixel C team member Glen Murphy came right out and confessed: “we’re working hard on a range of enhancements for this form factor.” While he didn’t go any further and we haven’t seen anything particularly tablet-friendly other than split screen mode in the first dev preview so far, other Android N tablet features could include a real push for tablet-optimized apps (rather than just blown-up phone apps), customizable nav buttons, DPI switcher, stock floating mini-apps and tablet-specific System UI Tuner features. Android N delivers a revamped settings menu too. The changes include the addition of a Suggestions drop-down section at the top and removal of the individual section dividers. One of the best changes though is that you can now see basic details of each section in the main Settings menu. So, for example, rather than have to enter the Wi-Fi menu to see which network you’re connected to, Android N displays that information in the top-level settings menu. It’s an obvious time-saving idea and is kind of surprising it has taken this long to appear. Sound and Notifications have now been given their own dedicated sections too, rather than being grouped together like in Marshmallow. The hamburger menu returns and has now been explained, providing a swipe-out nav drawer that simply reproduces the top-level settings menu sections. While it’s debatable if it is any better than just tapping the back arrow when you’re one level into a menu, it will provide a quick escape route to the main settings when you’re several levels down in sub-menus. Of course, the presence of the hamburger menu in Android N also does away with the duplicated actions of the back arrow in the settings and the back arrow in the nav bar. As predicted, everybody’s favorite Marshmallow feature, Doze Mode, has also been improved in Android N. Doze now features a two-tier system. The first operates whenever the screen has been off for a while, whether your phone is stationary or not. This means you can now enjoy the benefits of Doze Mode anytime your phone is not being used, even when it is in your pocket or backpack. The other layer of Doze Mode works as before, but with some more improvements. 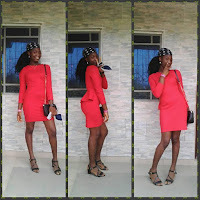 When your phone is lying still, it will enter a deeper hibernation mode, deferring network and other activity until widely spaced-out “maintenance” windows before slipping back to sleep. Both the notification shade and quick settings panel have received some interface tweaks in the newest version of Android. You’ll now see a thin strip of toggles at the top of the notifications shade for frequently used things like Wi-Fi, Do Not Disturb, battery and the flashlight. Some of these can be toggled on and off directly, while others will take you to a sub-menu (long-pressing the flashlight will launch the camera). A small arrow at the right hand side will open up the full Quick Settings panel. 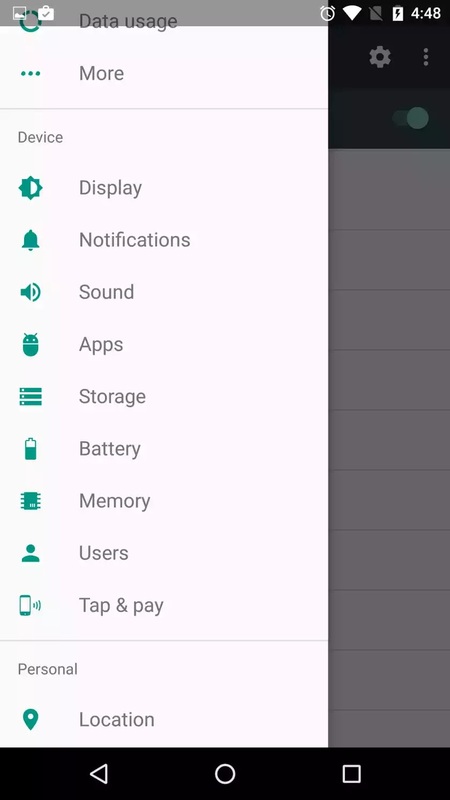 Quick Settings is now paginated and you can edit which icons appear at the top of the notifications shade and Google has added new System UI Tuner options for Quick Settings like Night Mode and offered developers the ability to create their own custom Quick Settings icons. The notifications shade itself has also been revamped, with the main change being the removal of distinct cards. Android’s notifications area is now flatter than ever, with just a thin line separating individual notifications although when you swipe down the Quick Settings, the cards will stack as before. Profile pics from your contacts now appear on the right rather than the left and app icons have been minimized. You also get a lot more information in each card compared to Marshmallow and there’s a new grouped notifications API that allows apps to bundle notifications together. 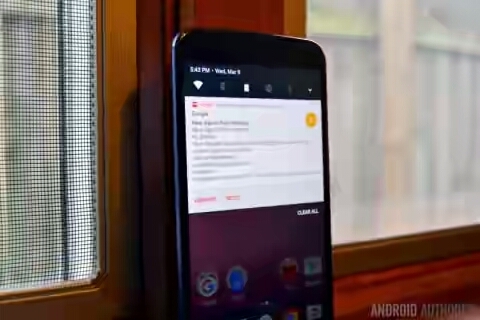 Best of all though is the ability to respond to notifications directly from within the notifications shade. Android N also allows you to change the display size on your device, also known as changing your display’s DPI setting. 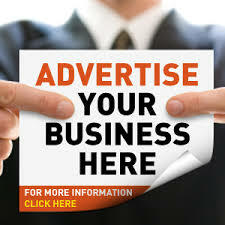 Simply go to Settings> Display > Display Size and slide the slider to change the size of on-screen content. Following the switch to Android Runtime (ART) in Android Lollipop from the decrepit Dalvik runtime used in KitKat and before, some users have become tired of the amount of time it takes to optimize apps following an Android update. Upon first boot, the ART optimizes all apps using Ahead-of-Time compilation (whereby apps are compiled once – at boot – and then effectively launch faster from there on out). In Android N however, things have changed again. Now, rather than at first boot, apps are compiled Just-in-Time the first time you launch them and are then stored in memory for faster launches next next time. This means faster reboots every time. The recent apps menu in Android N has also been revised and improved, with larger cards in the recent apps stack and new functionality. As usual, tapping the square button will bring up a cascade of your most recently used apps. But if you double tap the square button instead you’ll quickly switch between your current app and the one you used last. While you’re in the recent apps list, tapping the recent apps button again will cycle you through your most recently used apps one by one (as opposed to swiping through the list) and if you let the small countdown slider beneath the app bar expire, the app will go full-screen. Long-pressing the recent apps button will launch multi-window mode. Android N is also trying to help you take even more control than you already have over data usage by adding a new Data Saver feature. 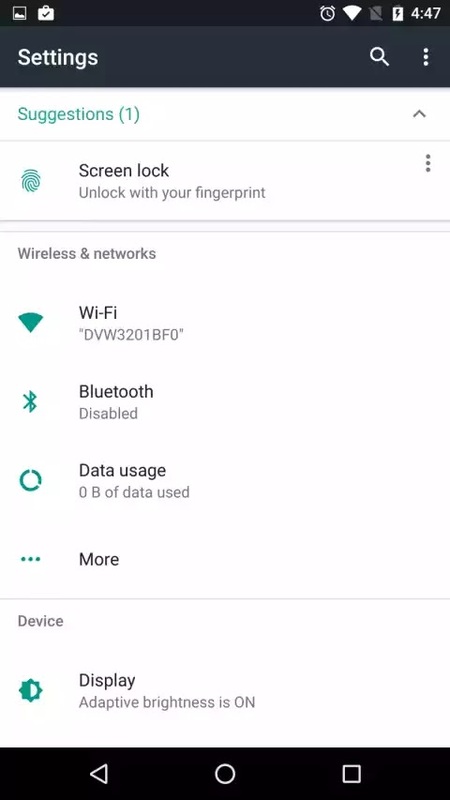 When the setting is enabled, it will stop background syncing from occurring except when connected to Wi-Fi. Not only will Data Saver block background activity from chewing up your data allowance, it also attempts to limit the amount of data apps use in the foreground as well. Fortunately, you can also whitelist specific apps you want syncing as per usual while still making general use of Data Saver mode. Dark Mode returns in Android N! All hail the return of Dark Mode! 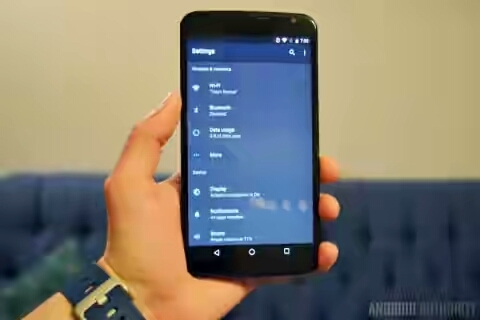 Or as it is called in Android N, Night Mode. Following its removal form the Android M preview builds last year, a lot of us have been waiting a long time to see the return of a dark mode in stock Android. The Android team has made it worth the wait though, by not just offering a dark system-wide theme, but also adding some cool new features too, like tint control to limit the amount of blue light in your display (great for allowing you to sleep after playing on your phone late at night). Night Mode can be enabled automatically at certain times of day and there’s an automatic brightness limiting option as well. This was definitely worth waiting for. Android N attempts to improve on the multiple different methods manufacturers have come up with over the years to block certain numbers or screen calls by baking a standard into the latest version of Android. Like fingerprint support and multi-window mode, this means that these rather essential processes should become more consistent across devices and manufacturers because they are a stock feature of Android rather than a later addition. This is one of those good ideas that probably won’t get appreciated as much as it should be. 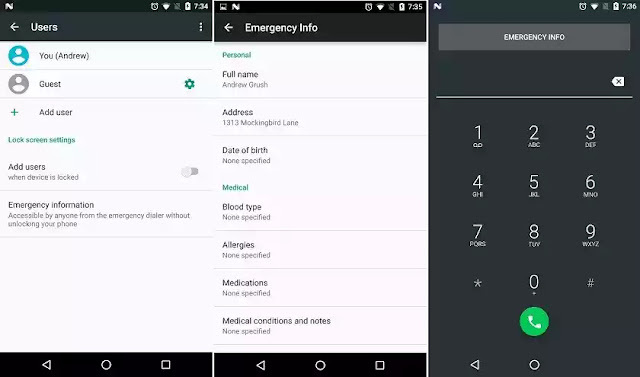 Android N now has a setting that allows you to provide a link to your emergency information on your lock screen, including your name, blood type, address, allergies and other essential information that may be required if you find yourself in an accident and unable to communicate. It isn’t in the best location yet (but this could easily change in future Android N previews)and it’s not necessarily the kind of information you’d want being available to anyone that might steal your phone. but it’s a step in the right direction at least. One of the niftiest Android N features is the appearance of the Android Beta Program, which takes the flashing hassle out of getting early access to developer previews of Android. Simply sign up for the program and add the device or devices on which you’d like to receive beta versions of Android and you’ll get over-the-air updates rather than having to flash factory images. The Android Beta Program takes the flashing hassle out of getting early access to developer previews of Android. It’s kind of the lazy man’s developer preview installation method, but it also means more everyday folks can flash developer previews and help identify bugs prior to the final release. However, if you’re not already the type of person that is comfortable flashing factory images you might want to think twice about signing up, as preview builds are buggy, incomplete and occasionally unstable, so they’re not really fit for daily driver status. 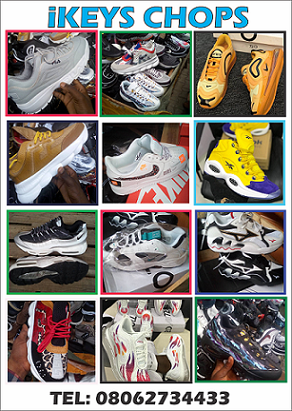 Also, if you flash the factory image, you won’t receive the monthly OTA preview updates. Did we miss anything? 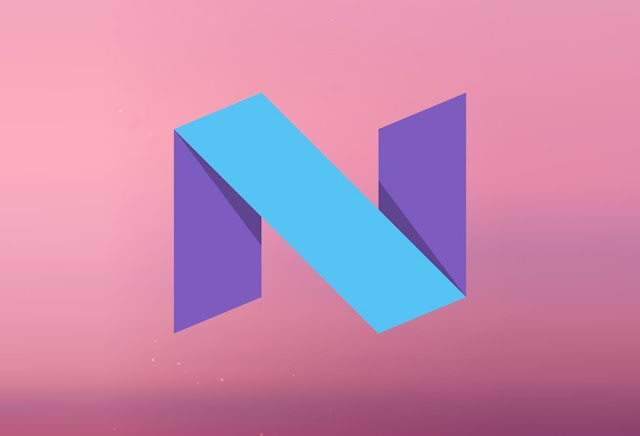 Let us know what Android N features you’re expecting or looking forward to in the comments.